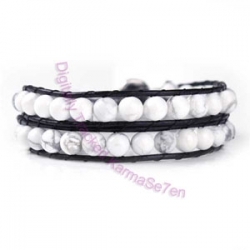 Our One Row Leather & Bead Wrap Bracelets will wrap around your wrist once, showing a single string of beads. 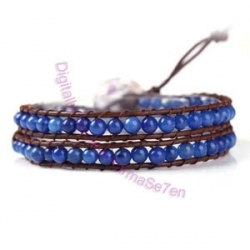 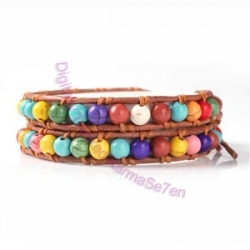 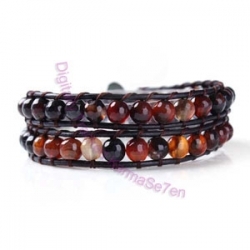 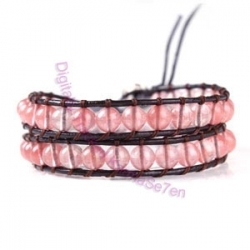 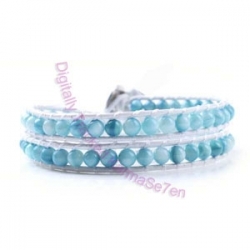 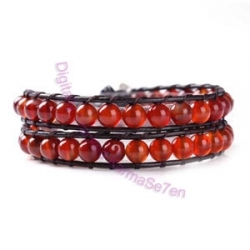 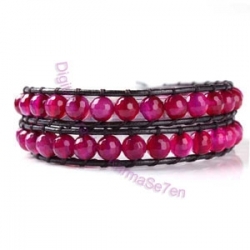 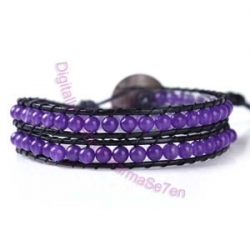 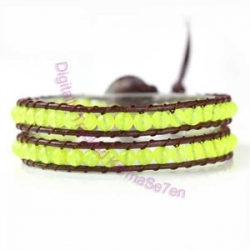 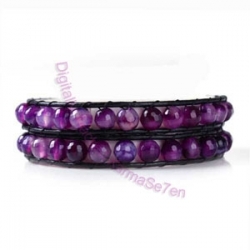 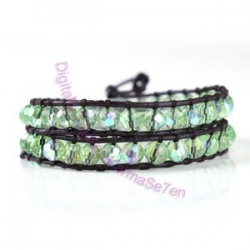 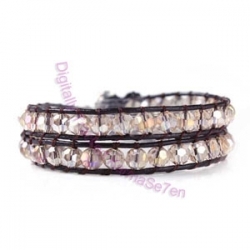 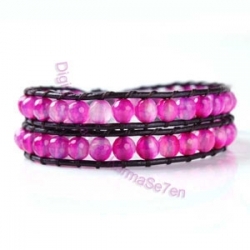 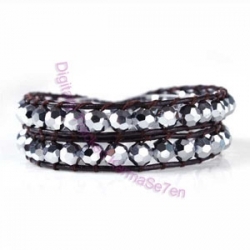 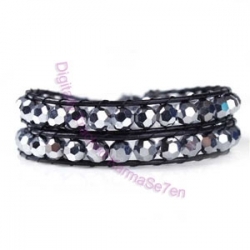 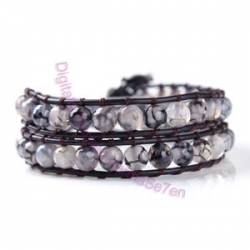 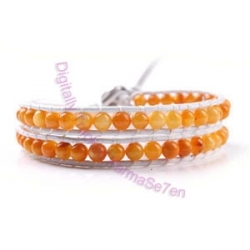 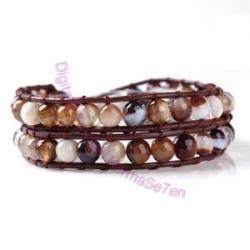 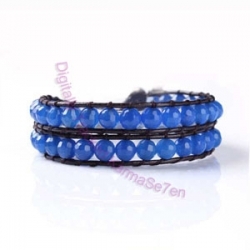 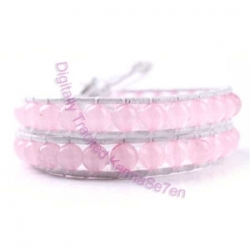 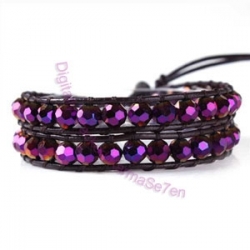 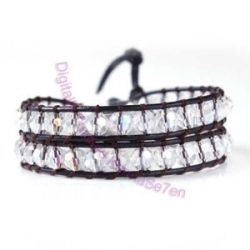 Made with soft leather strands and threaded with pretty beads, these Wrap Bracelets look amazing with many different styles and fashion trends. 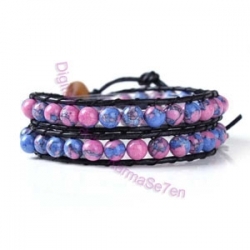 Leather & Bead Wrap Bracelets have a simple yet secure button fitting, along with 2 adjustable closures and will therefore fit all wrist sizes, both large and small!